Nicholas Hytner is a British media personality who was born on May 7, 1956. The Late Late Show With James Corden and Great Performances account for some of Nicholas Hytner's recent TV credits. Nicholas Hytner's recent filmography includes the movies National Theatre Live: Hamlet Encore Screening (2015) and National Theatre Live: The Hard Problem (2015). As of 2018, Nicholas Hytner has contributed to about 3 TV shows. Some of the most recent Nicholas Hytner TV appearances include The Late Late Show With James Corden, Great Performances, and Great Performances at the Met. Nicholas Hytner was a guest on The Late Late Show With James Corden in 2015. Nicholas Hytner directed Great Performances in 2014 and Nicholas Hytner directed Great Performances at the Met in 2011. As of 2018, Nicholas Hytner has contributed to about 21 movies. Some of the most recent Nicholas Hytner movies include National Theatre Live: Hamlet Encore Screening, National Theatre Live: The Hard Problem, and The Lady In The Van. National Theatre Live: Hamlet Encore Screening was released in 2015. National Theatre Live: The Hard Problem was also released in 2015. 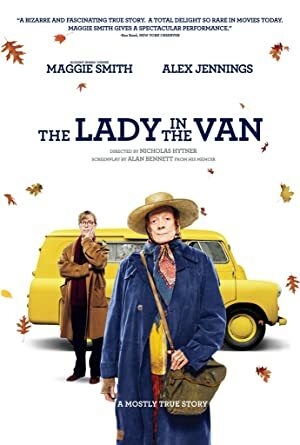 The Lady In The Van was also released in 2015.